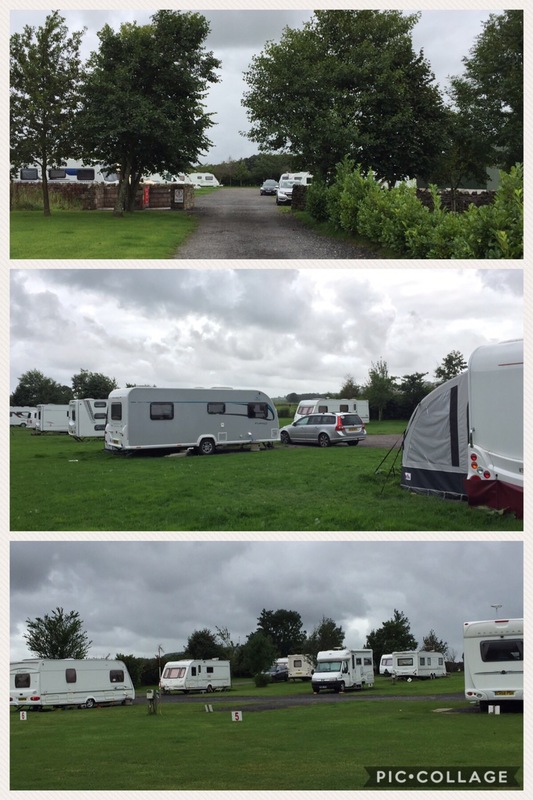 Sitting only a short walk from the River Ribble, this site is not to be confused with the Caravan and Camping Club site just across the road. 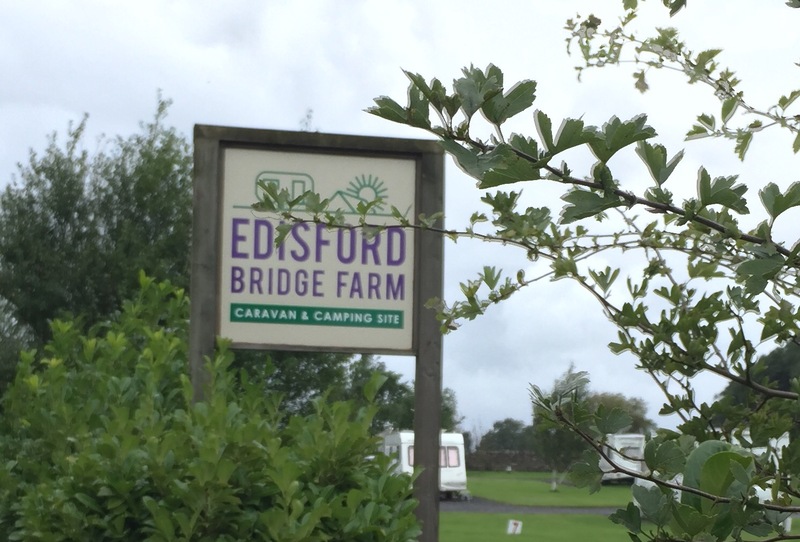 Located directly behind the Edisford Bridge pub, the site is landlocked by farmland and the road. Whilst there is road noise, the road is not a busy one so the noise isn’t too intrusive. 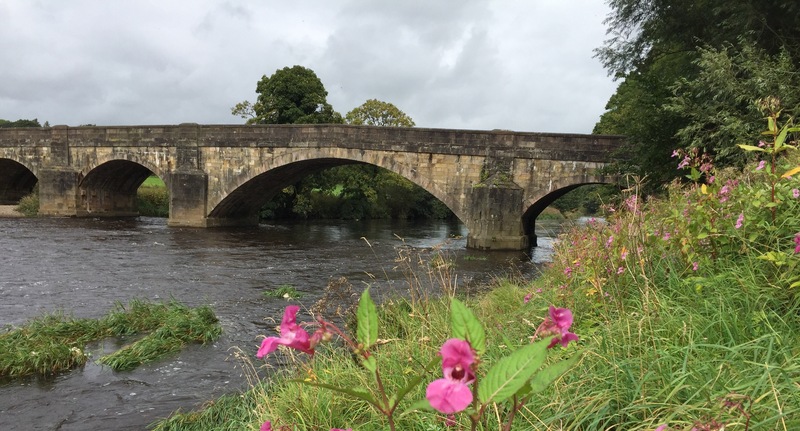 The River Ribble is just a 5 minute walk away, beautiful location to relax in the sunshine, a leisurely dog walk or just a stroll. The site has a mix of 28 level grass and hard standing pitches with a small separate area for tents. Our pitch was pre-allocated on arrival so we did not have free choice of pitches. Hard standing pitches are only big enough for your caravan, awnings are pitched onto the grass. The site is an L shape and some of the pitches are on the small side, meaning that your car will be parked in front of your unit. On a busy day this could cause problems for arriving and departing caravans. During our stay we had some very heavy rain and pitches did flood, but due to the length of the grass the pitches retained water once it stopped. The grass was very long and in need of cutting making it very wet underfoot. Shorter grass would have meant drier feet. Pitches that backed onto the barn seemed to suffer with flooding more than most. A newly built facilities block takes pride of place at the entrance. Wifi is available upon request, but only accessible near the reception area. 3G Phone signal was good with intermittent 4G on all pitches. 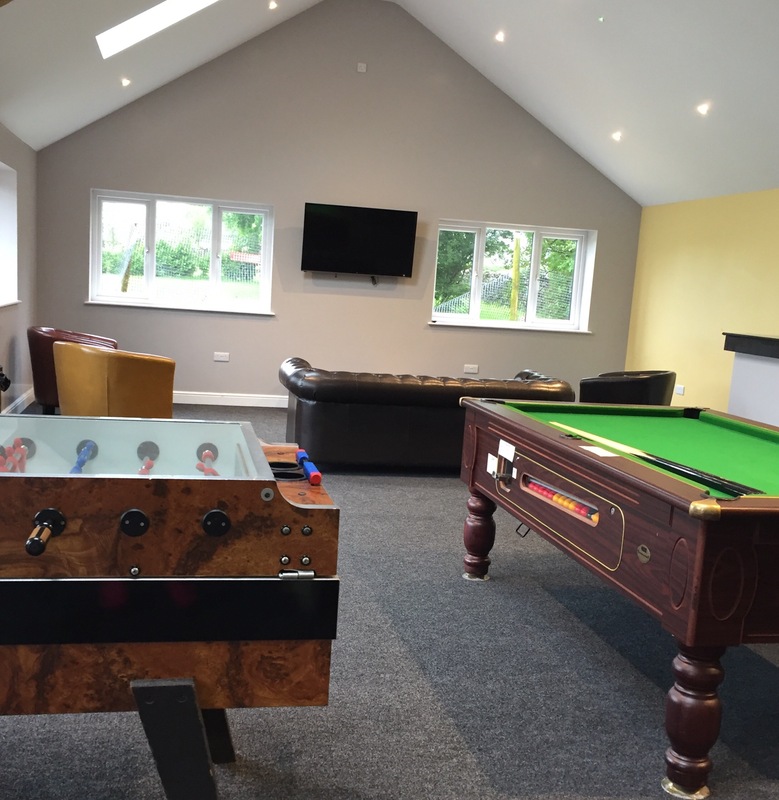 Within the block is reception and a luxurious Glampers room complete with large flatscreen TV, comfy sofas, pool table, bar football and a coffee machine. A selection of books and tourist information leaflets is also available. A small shop is located in reception selling basic groceries and spare caravan equipment. The block offers toilets with quirky seats and extremely spacious showers complete with plentiful hooks and small bench. The only thing I don’t like is having to push a button every 30 seconds, I timed it, for hot water. An extra large shower is also available for parents with young children. 50p to use the hairdryer, not sure how powerful or how long you get for your money, I haven’t used a hairdryer for more than 20 years. A disabled bathroom is available upon request. 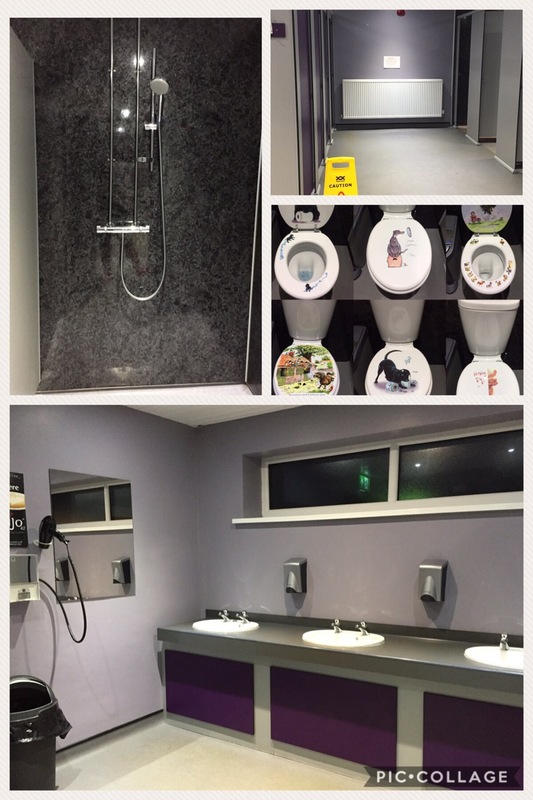 This is also opened for use when the main facilities are closed for cleaning. Whilst being very spacious and complete with the obligatory hand rails, it feels slightly inferior in design to the rest of the facilities. A washroom containing a dishwashing sink and a washer and dryer. The charge for using the machines is £1 for 10 minutes with a short wash taking 28 minutes. Well behaved dogs are welcomed, as are children. There is no onsite park or dog walk but, both are available across the road alongside the river. Located about a mile out from the centre of Clitheroe which has a mix of local and high street stores. 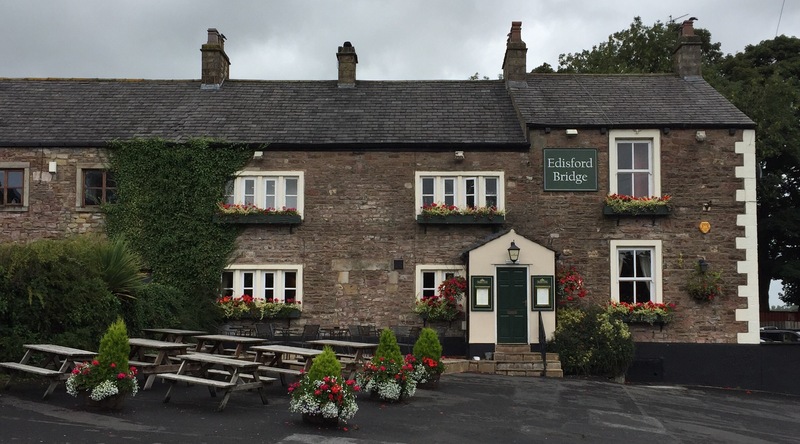 The Edisford Bridge pub is at the entrance to the site and is big on hospitality with good homemade food on offer. The pub, also, has a small area designated to customers with dogs. 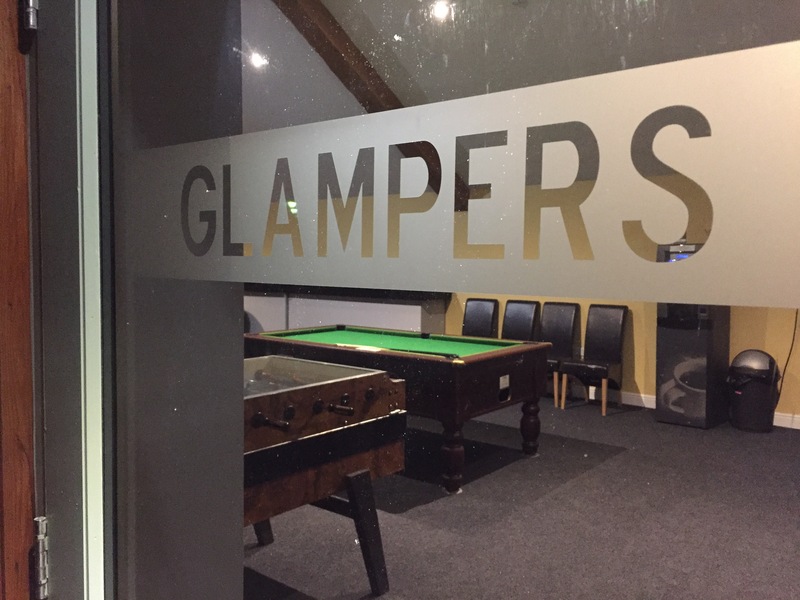 The Ribblesdale swimming pool and gym is just a short walk from the site and no end of Lancashire attractions within just a few miles in all directions. 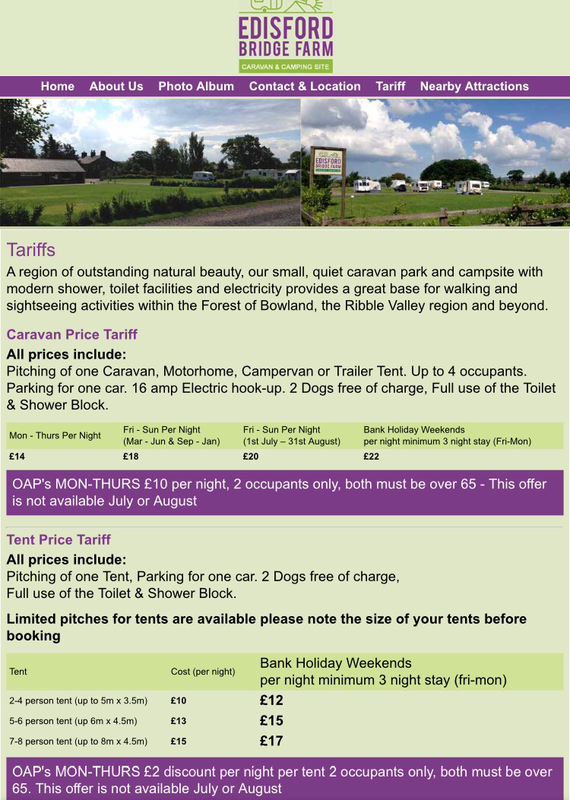 With prices varying from day to to day and month to month including prices for added extras including awnings, gazebos and dogs this can soon add up. 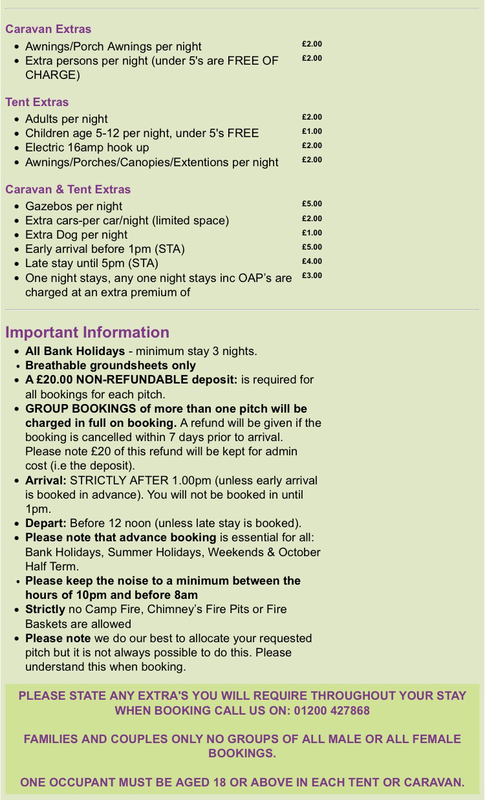 For 11 nights in September for 2 adults with an awning we paid £188. Would we go again? Possibly yes, purely for the local area which is outstanding. This is a working farm and there will be animal noise and smells to accompany occasional mechanical noises. The grass was in desperate need of cutting but it rained hard and constantly during our stay making this impossible. There was no obvious presence of the owner at any point, with only a receptionist onsite for a few hours a day. Booking in is recommended from 1pm onwards. Reception closes between the hours of 12.30pm and 2.30pm. If the weather had been sunny for at least half our stay this review would probably have had a more positive slant, maybe we need to adopt the Top Gear style ‘W’ for wet site reviews. we stayed there recently. with a caravan and also a tent it wasn’t a great experience. poor drainage . our two pitches were like camping on a swamp. so bad the wet soil moved around under groundsheets and your feet sink. shame really. the owner wasn’t concerned or bothered. unsightly I would ‘re visit as staff never to be seen . It is a shame, while the owner can’t control horrendous wet weather – a gesture of concern or offer to switch pitch would satisfy most people. We would possibly visit again but ONLY in a dry spell. We’ve stayed a couple of times and in fact are returning this weekend coming as we have friends in the area. With the larger van that we have now it is indeed tight and also wet on our last visit. Kids around the van were an issue on our last visit but we are hoping it was a one off. But yes, we agree with your review.